BE THE DEPTH FINDER: At 64-inches of width, the X3 X mr Turbo maximizes its race-winning TTX suspension geometry with performance shocks, wheels, and tires chosen to deliver complete control. If you’re craving a blast across muddy, challenging terrain and routinely put down-low traction to the test, this is the setup for you. 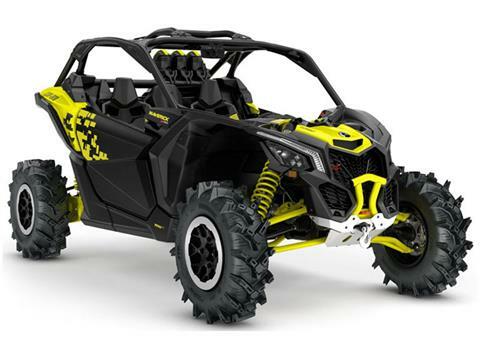 THRILLING POWER: Responsive, refined performance is more accessible than ever with the 120 horsepower Maverick X3 X mr Turbo. With a turbocharged Rotax ACE engine tuned for torque and seamless, shift-less power, the rush to redline has never been so thrilling. SMARK-LOK TECHNOLOGY: For next-level traction to conquer the roughest terrain, Can-Am-exclusive Smart-Lok™* technology is the new benchmark. 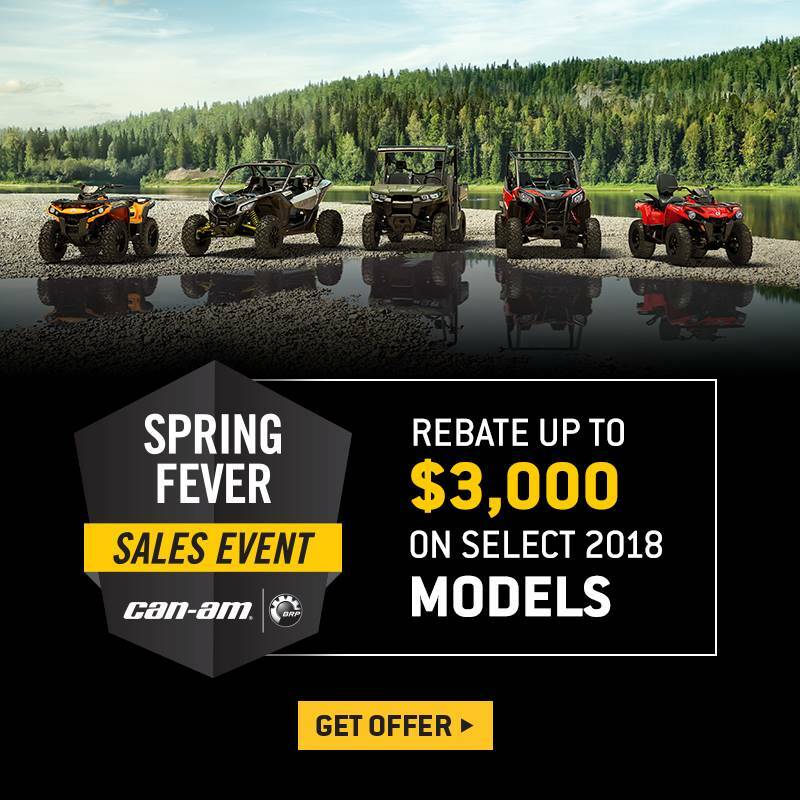 A true full lockable on-the-fly front differential with electronically-controlled automatic modes, or with the simple press of a button that offers preset, intelligent calibrations for your type of riding. Using multiple input sources, "Smart mode” will instantaneously engage locking with the right load at the right moment. Never before have riders been given maximum traction while retaining low-speed maneuverability. *Smart-Lok was developed in conjunction with TEAM Industries, a market leader in the drive train industry. WIND THAT WORKS: Look up: the snorkeled engine and CVT intakes sit directly behind the rider’s head for maximum fording capabilities, while maximizing power for swamp-capable performance. Three oversized intakes feed the engine (1x) and the CVT transmission (2x), without compromising the roar from the out-of-the way sports exhaust. PROOF IN THE POUNDING: BRP's four-link TTX suspension with 18-in of travel features a trophy truck-like trailing arm and three links dedicated to controlling camber while delivering optimal geometry at all times, even during extended wheel travel. The result? Unparalleled power transfer to wheels, virtually no bump steer, precise steering response, and more confidence at higher speeds. AFTER THE LAST INCH: When your side-by-side is plunged into the deep mud, its drivetrain, tires, and suspension are working overtime—unless you’ve bottomed out. With 14 in. of ground clearance and arched front and rear lower suspension arms, the X mr Turbo rises above the toughest ruts. WITH YOU ALL THE WAY: Its low seating arrangement is designed to encapsulate both driver and passenger so they feel connected to the vehicle’s every move, without compromising ground clearance. Its high and dominant posture is enhanced with race car-inspired one-piece molded seats with ideal support, weight distribution, and 4-way adjustability. CLAW THROUGH: Considering the other improvements to the Maverick X3, the latest 30-inch ITP Cryptid on 14 in. aluminum rims could be seen as icing on a mud pie, but their aggressive tread and rugged construction are the key to pushing the X3's capabilities. 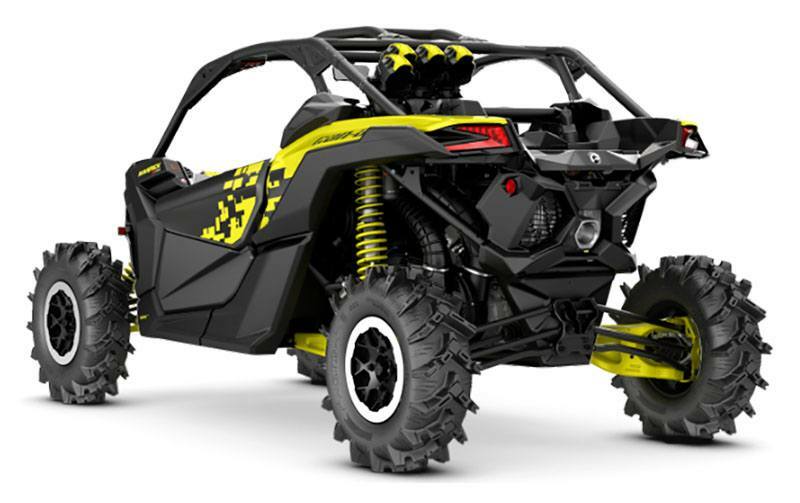 STUNNING SUSPENSION: The Maverick X3 X mr features FOX 2.5 Podium HPG Piggyback shocks with front and rear QS3 compression adjustment and rear bottom-out control for a balanced, factory-honed setup right out of the box. RECOVER WITH EASE: A 4,500 lb. 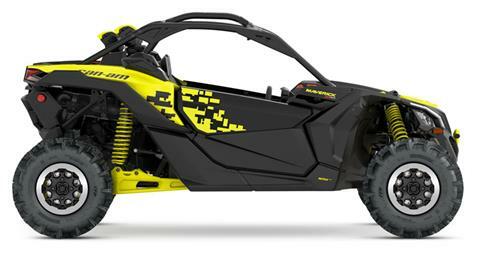 (2,041 kg) winch with synthetic rope gives the X mr the power to pull itself—and your rivals—out of tough terrain.